Suppliers > Learning Resources, Inc. 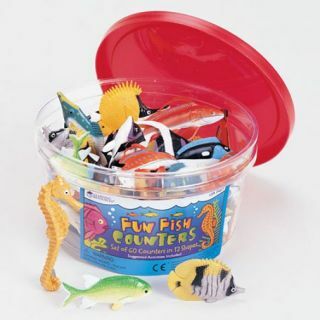 Beautifully detailed fish counters in 12 realistic shapes are great for party favors, storytelling or even rewards! Set includes 60 counters packaged in a reusable storage container.